The purity of gold is one of the most important questions while buying gold jewelry. One should be aware of the basic facts and identification techniques while purchasing. 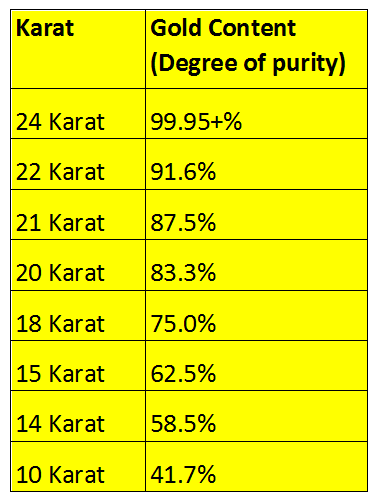 There are certain carats of gold that are considered pure, like in India, 22 carat is considered pure wherein internationally 14 and 18 carat is considered pure. During the entire process of creating gold ornaments, mixing of impurity is also done, thereby causing some loss to the consumers. Purity grade – The purity grade number should always be known when buying jewelry. Pure gold is too delicate to use as jewelry and hence metals like zinc, copper are mixed with gold. The higher the purity grade, the lesser the mixture. Identification – In many countries, the law requires the gold to be stamped with the cartages of the jewelry. This procedure is generally controlled by a hallmarking system in every country. Branded jewelers stamp the jewelry displaying both the cartages of the gold and their identifying mark. Jeweler’s reputations – Buying gold is a work of trust, hence, look out for jewelers with good reputation. 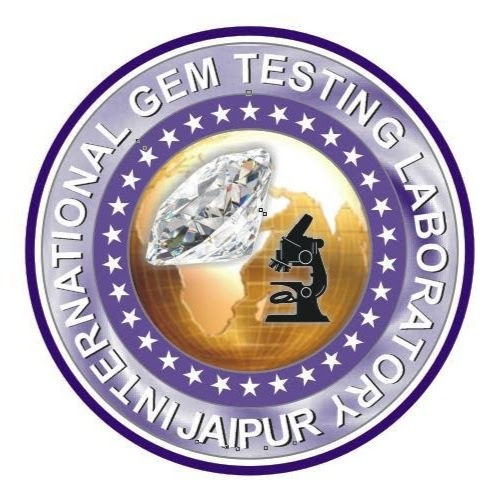 Verify the certificate of ‘International Gem Testing Laboratory’ with every purchased gemstone. The gemstone should be sealed in a transparent box. Most of the labs seal the gems in transparent boxes as a sign of their purity. Look for the hologram sticker on the testing certificate. Look for bubbles, if any. Pure gemstones should not have any bubbles or air stuck within them. Any liquid or air can be seen with naked eyes while testing a gemstone. Check for scratches, if any. Gemstones are generally very rigid and hence while buying any stones, do scratch the stones to check for their quality. Observation – Pearls are generally unique and hence no two pearls will have the same shape color, size and luster. Fake pearls will mostly have the same shape and size. Shape – Natural pearl will not have any specific circular shape and hence is very difficult to create a necklace out of it. The perfect pearl is so rare and hence pearls with big size and good luster usually sell for hundreds of thousand dollars. Touch – Even if the weather is hot, natural pearls will have a cooling sensation when held in hand. Plastic beads will always be warm and imitation pearls will have a sticky sensation while sliding between the fingers. One of the commonly used techniques is rubbing the pearls together. When two natural pearls are rubbed, pearl powder comes out and a scratch is made. Again when you retouch the scratched area, the scratch mark goes away and the luster comes back. Magnifier observation – When a magnifying glass is used over a pearl, the surface tends to be grown as grain but if you see an eggshell surface, the pearl is imitated. © 2018 Muscat International Jewellery Exhibition (MIJEX). All Rights Reserved.